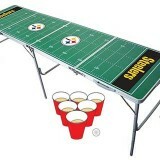 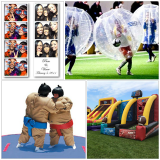 Bring large-size versions of classic childhood games to your event! 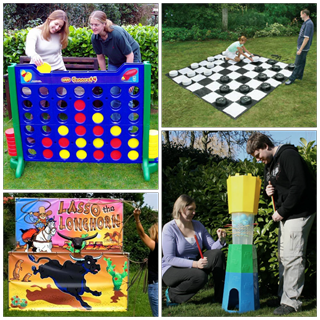 This package includes three to five of these oversized versions of classic childhood games. 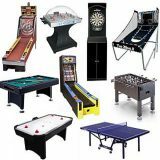 Choose from Connect 4 (a 4-ft. tall giant version), Cannonball (a 4-ft. tall Kerplunk style game), Box Hockey (a 3-ft. x 6-ft. challenge), Giant Checkers (a 5-ft. x 5-ft. board), and Longhorn (a 7-ft. x 7-ft. lasso challenge).